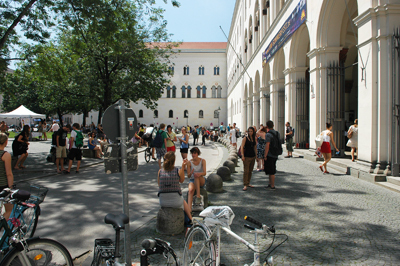 The Junior Year in Munich program is affiliated with the prestigious Ludwig-Maximilians-Universität München (LMU Munich). Founded 1472, LMU Munich is one of the oldest universities in Germany and has repeatedly been ranked the #1 research university in Germany. 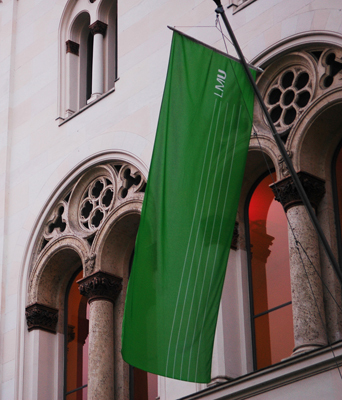 In 2006 an international jury of the German Research Foundation and Science Council selected LMU Munich to receive one of Germany's first "university of excellence" awards. In 2015-16 LMU Munich was ranked 29th among the top 30 universities in the world by the Times Higher Education World University Rankings. With a distinguished record as home to 13 Nobel Prize winners (most recently 2005 in physics) and 10 Leibniz Prize winners (most recently 2013 in medical research), LMU Munich enjoys the reputation as a prestigious institution of higher education for more than 50,000 students, including 7,400 foreign students from 122 nations. The main campus of the university is located in the center of Munich. LMU Munich is divided into 18 Faculties which are home to 203 institutes that focus on research and teaching within 129 disciplines and 150 degree-granting subject areas. The 2014 QS World University Rankings rate the following fields at LMU Munich within the top 50 worldwide: Physics #13, History #27, Modern Languages #30, Biological Sciences #33, Psychology #37. Faculties in the humanities, social sciences, and business administration are located on the main campus in the city enter, while the most of the natural and life sciences are concentrated at the HighTechCampus in Grosshadern-Martinsried just outside Munich, a one-of-a-kind research campus in Europe. The LMU Munich Medical Center is one of the largest in Germany and is recognized internationally for its research, teaching and patient care. LMU Munich enjoys an excellent library system. Faculty and students also have access to the Bavarian State Library, the Technische Universität Munich Library, other local and state LMU partner libraries, archives and the German university library loan network. The main University Library houses nearly 3 million titles, including some 3000 unique manuscripts and 300,000 exceptionally rare printed books. Its departmental libraries add another 4 million titles, making the LMU library system both large and diverse.